A modern interpretation of a design developed in Milan at the end of the 19th century. 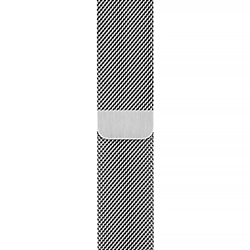 Woven on specialized Italian machines, the smooth stainless steel mesh wraps fluidly around your wrist. And because it’s fully magnetic, the Milanese Loop is infinitely adjustable, ensuring a perfect fit.